Dr. Goldstein is a graduate of the University of Connecticut School of Dental Medicine. He completed post-graduate training in general dentistry at Yale University’s general practice residency program affiliated with Waterbury Hospital. He has served as an attending clinician at the University of Connecticut’s School of Dental Medicine’s undergraduate teaching program as well as an attending clinician at Connecticut Valley State Hospital’s dental residency program. Doctor Goldstein is a member of the Dental Society of Greater Waterbury as well as the Connecticut State Dental Association, American Dental Association and the Academy of General Dentistry. He is also a Fellow in the International Academy of Dento-Facial Esthetics as well as a Fellow in the Academy of General Dentistry. He has been named as one of Dentistry Today’s top 100 CE (continuing education) Leaders for the past eight years. Dr. Goldstein’s marriage of his digital photography habit and his love for cosmetic dentistry, as well as his ability to write about it in a friendly, conversational tone, have earned him a post as a frequent Contributing Editor for Dentistry Today. 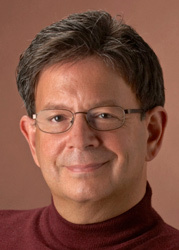 In addition, Dr. Goldstein is often featured in Dental Products Report as well as Dental Economics. His articles have been reprinted in Australia, Great Britain and Canada. In addition to writing Dr. Goldstein maintains an active speaking schedule having addressed audiences throughout the country and abroad. In April of 2002, Dr. Goldstein began the Comfort Zone Cosmetics Seminar Series in concert with Smile Vision Inc. Its mission is to relieve dental professionals of the anxieties often associated with performing cosmetic dentistry. His knowledge of such dental procedures has brought many a beautiful smile to his own patients as well as to the doctors that he instructs.